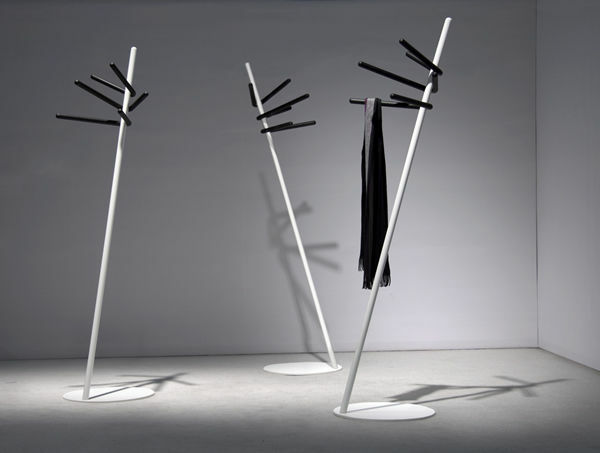 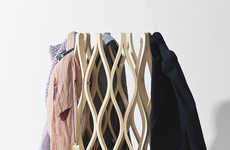 While the Comeback Coatrack is a piece of furniture like any other, it appears to embody motion that movables seldom have. 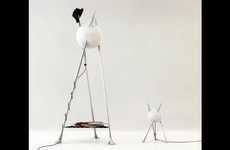 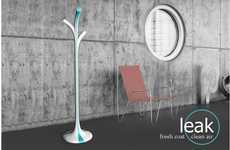 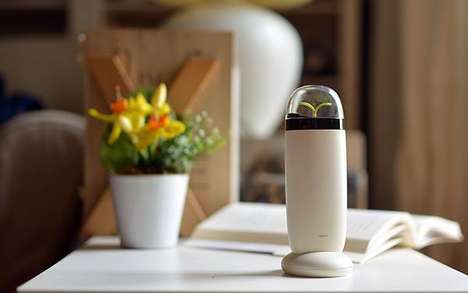 Designed by Johanson Design, the contraption appears to defy gravity, leaning one way as if it's encountering air resistance at speed. 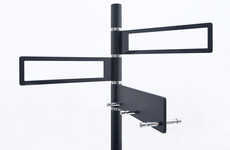 The metal stand tilts tantalizingly, yet this angle is challenged in a way that creates balance. 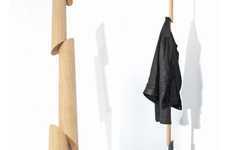 Three V-shaped braces seem to have been flung at the pole from the other side; the boomerangs stick out as if the scene was frozen before the force of these objects might have caused the post to shift. 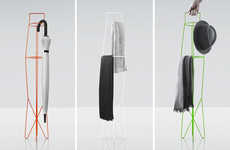 The resultant piece offers six elevated pegs for the arrangement of clothing, accessories and outerwear. 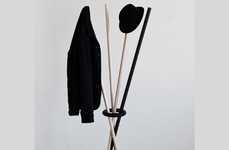 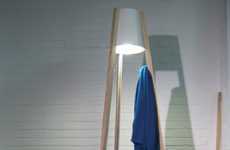 The Comeback Coatrack brings an unexpected dynamism and modernism to the front foyer of your home.